Riverside Heating & Air Conditioning LLC is proud to serve the North Augusta community!  About North Augusta, SC - Happy to be your hometown Heating & Air Conditioning Contractor! The city of North Augusta belongs to the state of South Carolina and is located in both Aiken and Edgefield Counties. It is situated on the northern bank of the Savannah River and lies on a total area of 20.5 square miles. The city is home to a population of 21,348 people of which 2,500 are descendants of early Irish travelers. The area was first founded as a residential town and its timeline of development had begun from when the Hampton Terrace Hotel was established in 1902. It served as the most luxurious hotel at the time and many travelers with expensive tastes sought lodging there. If you’re looking to get away from the bustling noise and crowd of the city, then North Augusta has much in store for you. Brick Pond Park is a naturally restored wetland and wildlife habitat that is located along the riverfront of the Savannah. The park features various trails that offer you the opportunity to have a relaxing walk and feast your eyes upon the stunning wildlife in the area. The North Augusta Greenway Trail provides visitors with a chance to experience the great outdoors and take a breath of fresh air. The area is described by locals as being perfect for walking, jogging and bicycle riding. The city also has a living history park, which is the perfect combination of learning and interaction. The interesting park features various reenactments right out of the 18th century. Let’s not forget that the city hosts Nike’s premier events that take place annually and are held at the Riverview Park Activities Center. The tournaments that have taken place bring in talented basketball players and their coaches from all over the country and are attended by professional athletes such as Yao Ming, Kevin Durant and Derrick Rose.